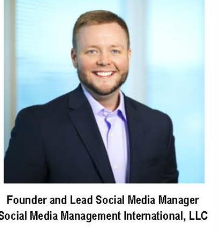 As the Founder of SMM International, an international social media marketing firm, Christopher is responsible for consulting with clients to ensure that their online reputation and internet presence serves their business objectives, such as revenue growth, lead generation and growing the bottom line. SMM International focuses on managing client’s social media accounts by posting original content, managing incoming messages and growing their followers. In 2015, Christopher created an educational division of SMM International: SMM Education as a way to reach more people on his mission to help businesses succeed. 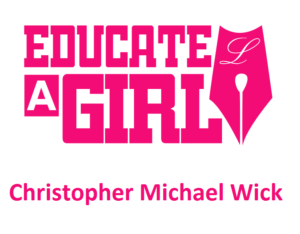 Christopher has been consulting with businesses since 2009 in various industries, such as, the legal industry, hair care, public relations, restaurants, management and the self-help sector. He is a graduate from the Wolff Center for Entrepreneurship (Rated #2 in the United States by Princeton Review) at the University of Houston C.T. Bauer College of Business, where he earned a Bachelor of Business Administration in Entrepreneurship, a Minor in Management and Extensive Leadership training. Christopher manages a global team of digital marketers, in more than 20 different cities, 10 different countries on 4 different continents, to bring each client a global perspective on their business. He was recognized as a #1 best-seller, for his book: How to Use Social Media to Grow Your Business and Make More Money where he gives his secrets away for local and online businesses. In 48 hours, the book became a #1 best-seller in America and Canada’s Amazon Marketplace. He has released his most recent book in United States, Canada, United Kingdom, Denmark, France, Spain, Italy, Netherlands, Japan, Brazil, Mexico, Australia, and India. Christopher spends most of his time traveling speaking with clients and companies on a mission to help business owners grow their companies.